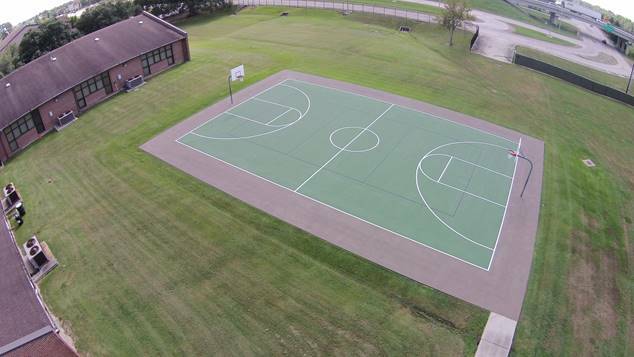 No Fault offers a variety of courts, from basic to premiere for both basketball and tennis. We use a proven acrylic surface for all levels of recreation or competitive play. Regardless of the size or scope of your court project, No Fault will deliver exceptional customer service and quality products. No Fault Cushion Court Surface is a multi-layered surface that lengthens the orthopedic life of players of all ages, it quickly responds to body impact and reduces fatigue.